Hey frunds! what are you doing April 17? 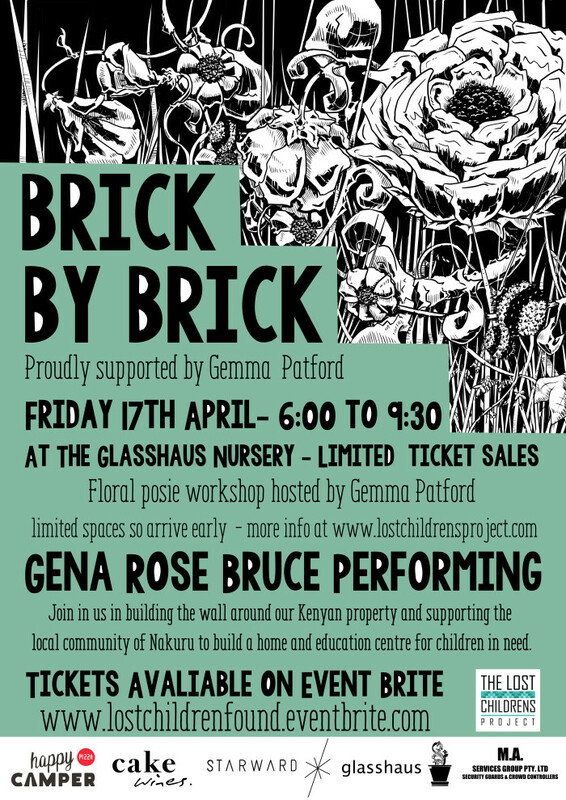 Come and hang out with me and the Lost Children Project tribe and be surrounded by the beautiful floral garden of Glasshaus greenery while you eat a dinner of woodfired pizza, baked treats, and guzzle hand selected wines. All proceeds of the evening will be donated towards the Lost Childrens Project in Nakaru, Kenya who strive to help children who are stricken by life circumstances, exposed to prostitution, drug abuse, hunger, death and sickness. ITS A GREAT CAUSE! I will be hosting a free floral workshop throughout the evening, and entry, food and wine is included in the ticket cost. Hope you see ya there!